The Goetre Retreat is situated off the A483 Shrewsbury - Welshpool - Aberystwyth road, four miles from Newtown. Take the Abermule turn, then the Clun road for two miles, first left after the Garden Centre. The villages of Kerry and Abermule are two miles either way, comprising of four hotels, garage, post office and general stores. The Retreat nestles in a delightful rural valley of peace and tranquility on the banks of the River Mule, yet is a very central position for your needs and interests. Park facilities include a landscaped barbeque and patio area and a children's play park. 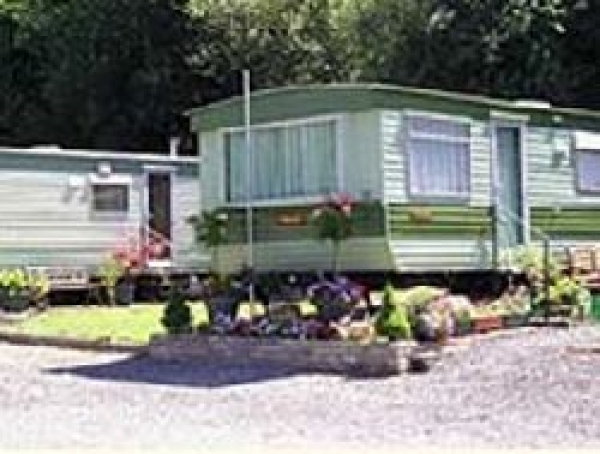 Plots for new caravans and good used caravans are usually available on the park. Finance can be arranged if required.